The first of our new regular feature… our little peoples’ Book Of The Week – first up, Orla! I’m a sucker for a well-illustrated book.. it’s always a relief when the content lives up to the same standard. Without giving too much of the story away Mr. Tiger doesn’t just go wild… he goes on a brilliantly funny, liberating personal journey and ultimately affects the characters surrounding him in a positive way. Why does Orla (4 yrs) like this book so much? Kids just love a free spirit causing a bit of a ruckus; it’s colourful, witty and has a great happy ending. Why do I love to read her this book? 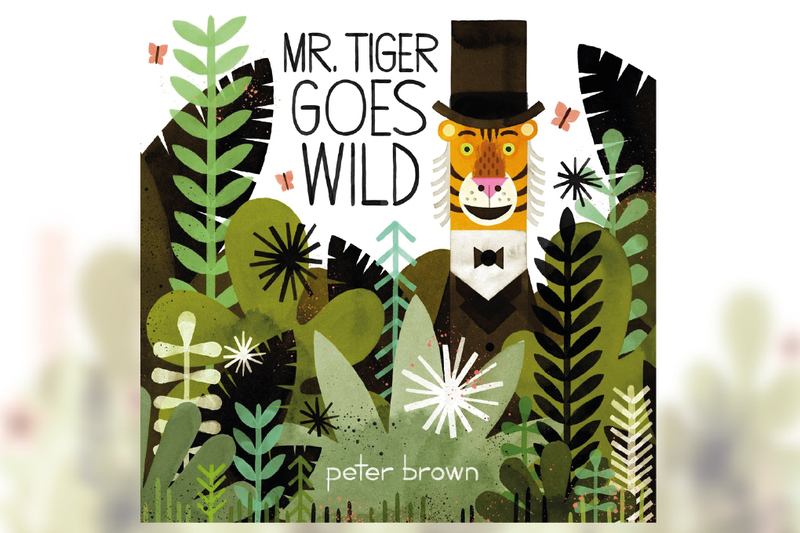 He’s a non-conformist, he’s a rebel and an independent spirit… a lovely way to remind Orla that sometimes life needs a Mr. Tiger to shake things up. This book has won lots of awards and deserves them all.